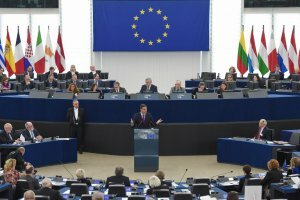 Spanish Prime Minister Pedro Sánchez spoke at the European Parliament on Wednesday, sparking protests by a group of MEPs who condemned the prosecution of Catalan pro-independence leaders. 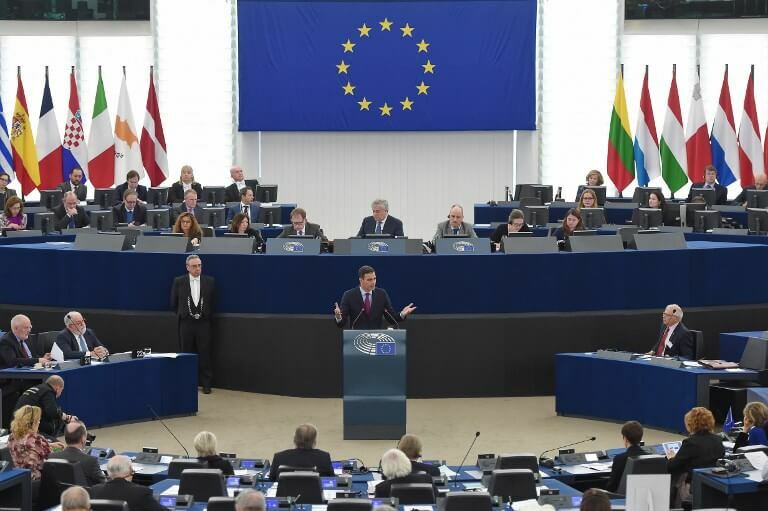 In his address on the future of the European Union, Sánchez made a call to fight Euroscepticism, far-right parties, and nationalism. ‘Faced with the rhetoric of discriminatory identities, [we want] inclusive identities, identities that don’t discriminate,’ said Sánchez. Following the Spanish PM’s address, the leader of the European Green Party, Ska Keller, took to the podium and called on Sánchez to provide ‘a democratic and political solution’ for Catalonia that ‘includes the prisoners’ and beginning with ‘sincere dialogue’. As for the head of the conservative European People’s Party, Manfred Weber, he said his party is ‘worried’ because Pedro Sánchez’s government ‘could not exist without the support of the far left and separatists’, and defined Catalan nationalism as ‘an extreme form of populism’. Some 15 members of the EU-Catalonia Dialogue Platform protested Sánchez’s presence with banners showing the faces of Catalan leaders either jailed in Spain or exiled in other European countries. The Spanish leader turned down a meeting requested by members of the platform to address the political situation in Catalonia. Encompassing MEPs from different countries and political parties, the group has repeatedly called for the release of the jailed leaders and is very critical of Spain’s handling of the Catalan crisis. The head of the platform, former Slovenian minister Ivo Vajgl, tweeted that he had received no formal response to the group’s request for a meeting, warning Sánchez that turning it down would be ‘to lose the opportunity for the dialogue he defends’.